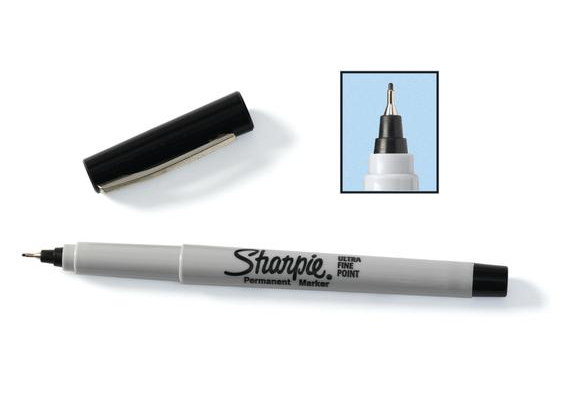 The #1 brand in permanent markers is now available at Discount School Supply. 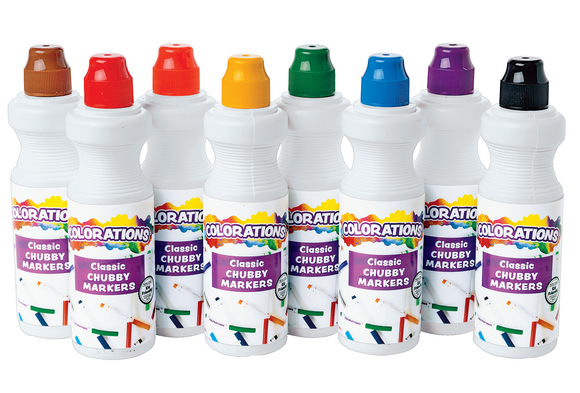 These markers are famous for their water-resistant, permanent ink that adheres to most surfaces. 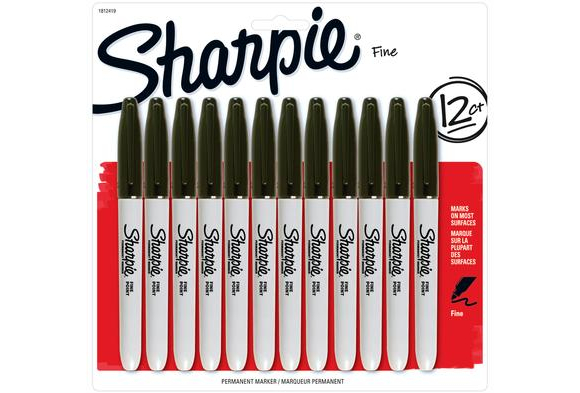 Popular fine tip set of 12 black Sharpies. AP Certified. The #1 brand in permanent markers is now available at Discount School Supply. 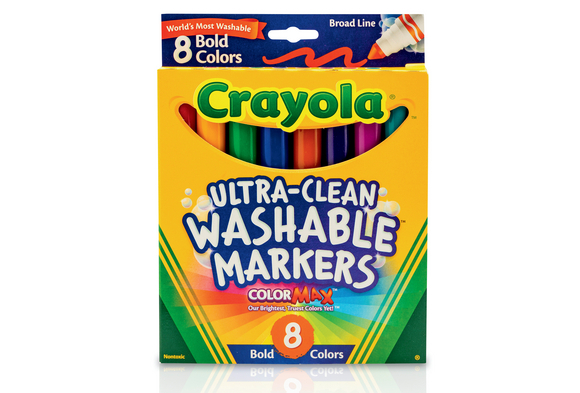 These markers are famous for their water-resistant, permanent ink that adheres to most surfaces. Set of 12 great colors. AP Certified. 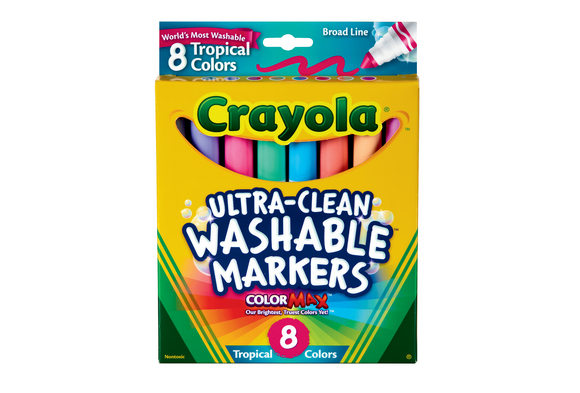 Teach diversity with help from Crayola® markers! 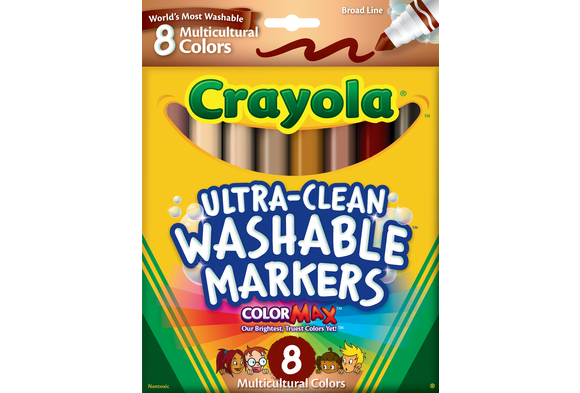 Individual pack of 8 includes the following colors: tan, mahogany, tawny, golden beige, terra cotta, beige, bronze and sienna. 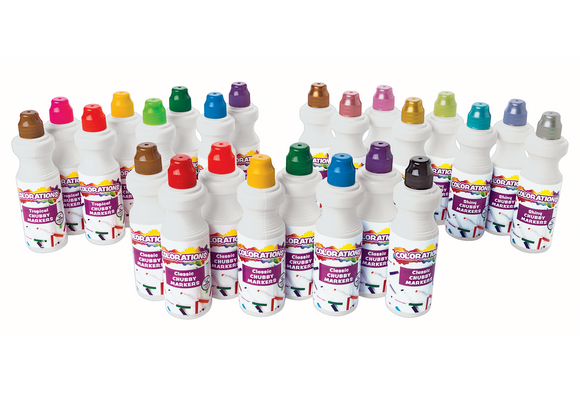 Conical tip markers stores easily in their own box. Washable, AP certified. 5-5/16"L x 5/8"Dia. 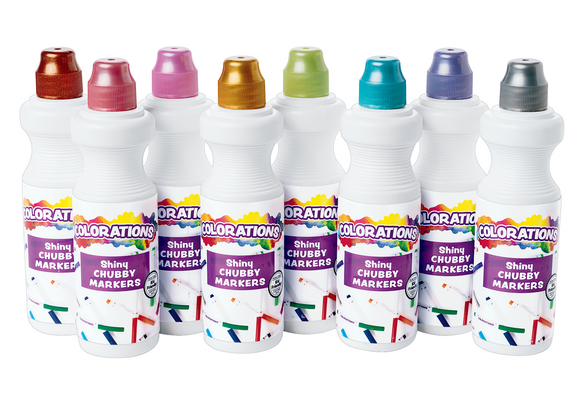 Washable, vibrant-colored markers with chubby handles are easy to grip for even the youngest artists! 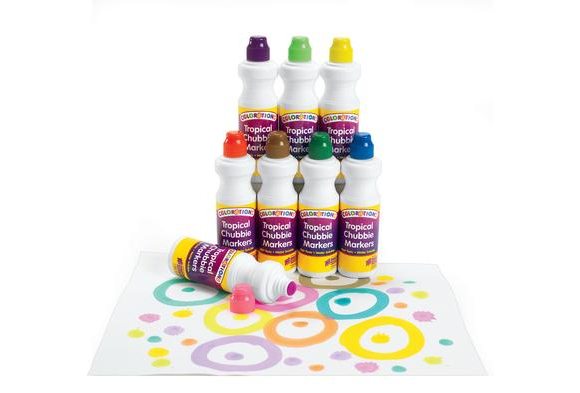 Water soluble, sturdy felt tips are 1/2" in diameter and are ideal for dot making. The free-flowing ink is also perfect for dragging across paper creating bold, broad strokes. Tropical colors include bark brown, lime, magenta, ocean blue, teal, tiger orange, violet and yellow-orange. Markers measure 5"L x 1-1/2"Dia. 2.5 oz. (74ml) of washable ink. AP Certified. Includes 8 brilliant classic colors: black, blue, brown, green, orange, red, violet and yellow. Fine tip and washable. AP Certified. Tropical colors include wild orchid, flamingo pink, coral reef, sea foam green, blue lagoon, tropical violet, dolphin gray and sandy tan. Washable. Crayola has gone green with new black barrels! All white marker barrels are transitioning to black. Color of marker barrel may vary. Measures 5-3/8"L x 5/8"Dia. AP Certified. Bold colors include royal purple, bittersweet, turquoise, jungle green, fuchsia, marigold, raspberry and cerulean. Washable. 5-3/8"L x 5/8"Dia. AP Certified. 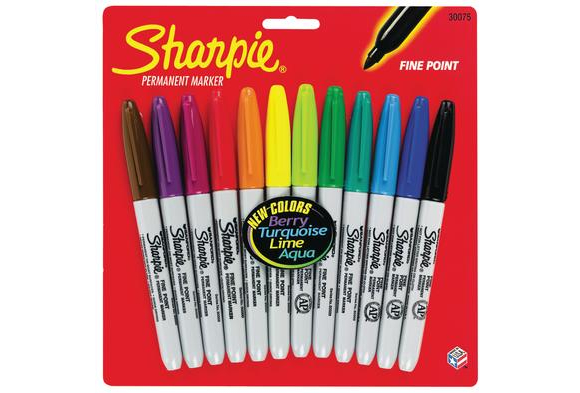 Enjoy the great quality of ultra fine point Sharpie® markers! 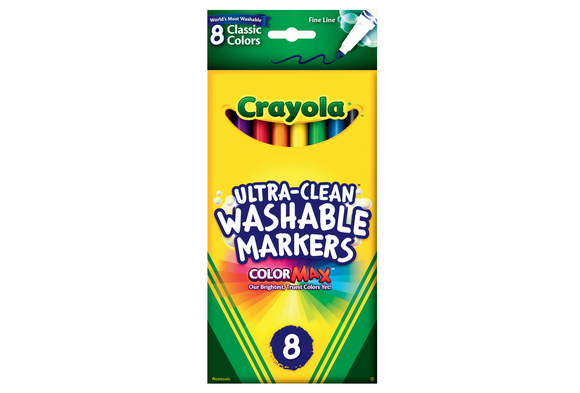 Perfect for detail work or outlining artwork, and great for use as a specialty writing instrument. Ultra fine point tips give you more control and accuracy. Permanent black ink, set of 12. AP certified.